Peter is passionate about inspiring and enabling others to Shift – to become better – especially better leaders – better than they themselves ever dreamed possible. 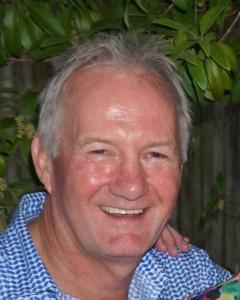 Starting out with tertiary qualifications in Applied Physics, Computer Engineering and Education, Peter has subsequently spent 30-plus years in a range of roles that in one way or another has contributed to his study of the field of leadership development. At the age of 29, he was Commanding Officer of a training school in the Royal Australian Air Force. Peter held executive roles in Human Resources at one of Australia’s big four banks – Westpac – and in Business Process Outsourcing at EDS. He has extensive organisational change management (OCM) experience, having been the OCM lead on a number of very large scale corporate redesign programmes – including the redesign of Westpac’s retail bank. Peter has extensive consulting, leadership development and coaching experience working with a wide range of enterprises and industries, including: Financial Services, Information Technology, Telecommunications, Pharmaceutical, Health, Mining, Construction, Manufacturing, Defence and FMCG. Author of the book ÔLeaderShift – Six Steps to High Performance Leadership’ in which he coined the phrase ÔHiPer Leaders’, today Peter is Founder and CEO of the High Performance Leadership Group: a boutique management consultancy focusing on HiPer Leadership development and executive coaching. Outside of work, Peter is passionate about family, travel, fitness, golf and wine – amongst other things.